Dream Kardashian is pictured smiling at just 4 weeks old! 24. 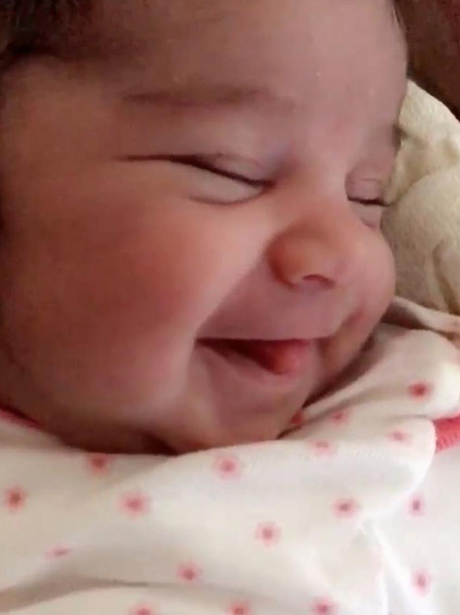 Dream Kardashian is pictured smiling at just 4 weeks old!